Chris Mullin’s jersey retirement ceremony tonight started off as a grand celebration of the great player that he was and what he did for the Warriors organization. Tim Hardaway, Mitch Richmond, and others all spoke about Mullin’s hard work, dedication, and devotion to the fans. After, Chris Mullin gave his acceptance speech and thanked his teammates, coaches, NBA commissioner, David Stern, and the fans for his memorable years in the Warriors organization. Many times, he alluded to the fact that the Warriors have the best fans in the NBA and that their dedication and support was overwhelming. How ironic that the following minutes would completely reject everything Mullin said. Greg Papa, the host of the ceremony, introduced Warriors owner, Joe Lacob, after Mullin spoke, and almost immediately after Papa gave the microphone to Lacob, the fans started booing significantly louder than they had cheered at any point during the entire first half of the game. Lacob looked into the crowd with an utterly confused and stunned look. Was it solely because Lacob had just recently traded away the Warriors “best” player, Monta Ellis? It didn’t seem like it. Most Warriors fans seemed to like the trade because it signified that Stephen Curry is the future of this team. The fact that the boos went on for so long and were so loud suggests that it was the result of a history of poor decisions and false hope. Fans must be fed up with the fact that Lacob always wants to be in the spotlight, he is constantly promising things to fans that simply won’t and don’t happen, he is overusing the phrase “culture change,” and up to this trade deadline, hasn’t followed through on making bold moves, and more importantly, hasn’t proved he knows what the right move is. Although this booing is warranted, it was definitely unexpected. Warriors fans didn’t seem completely enthusiastic about Lacob, but the severity of the boos was definitely an interesting turn of events. This must have been surprising for Lacob especially because it seemed as if he had a distorted view of reality. Lacob must have believed that the fans loved him and thought that he would turn this organization around. Talk about a rude awakening. I wouldn’t have booed Lacob solely because of the Monta trade. I would’ve booed him because he simply hasn’t been a good owner. He needs to stop promoting a “culture change” and giving false hope to fans. If he makes the right moves and completes smart trades, the fans will respond accordingly. Results are more important than bold statements. “The Warriors traded a player and gained a team.” Adam Lauridsen, founder of the Fast Break blog, tweeted this last night, alluding to the Monta Ellis trade. 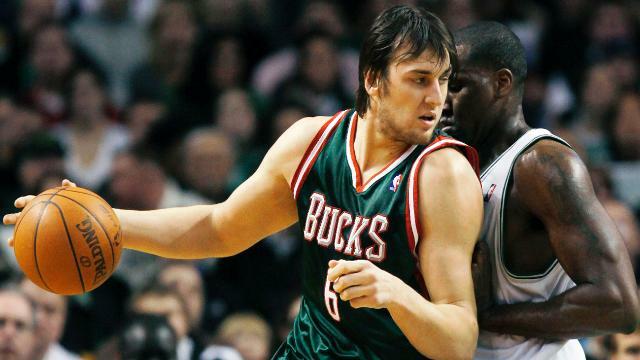 The Warriors traded Monta Ellis, Ekpe Udoh, and Kwame Brown to the Milwaukee Bucks for Andrew Bogut and Stephen Jackson. I could not find a more perfect summary of this trade not just because of who was involved in the trade, but because of what it symbolizes. 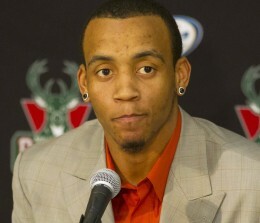 Monta Ellis hindered the Warriors’ ability to play like a true basketball team with his selfish play. Despite what the coaches and players said, Ellis was never the leader of the team. Ellis always claimed to “lead by example,” but I don’t see how this type of leadership warranted him to play so selfishly. This season, Ellis has averaged 19 shot attempts per game. Compared to David Lee’s 15.3 attempts per game and Stephen Curry’s 11.4 attempts per game, Ellis wanted to take the majority of the shots, because he believed that this was his team and he always had to be the leading scorer. The 2010-2011 season wasn’t any different. Ellis averaged 20.1 shot attempts per game, David Lee averaged 13.4, and Stephen Curry averaged 14.2. With two other reliable offensive threats on the team, it is simply unacceptable for a player to be averaging 20 shot attempts per game unless that player is Kobe Bryant, Dwyane Wade, Lebron James, or Kevin Durant. In addition to his selfish play, it appears as though most fans are happy to see Ellis’ departure. In a poll on csnbayarea.com, 42% of fans said their reaction to the Monta Ellis deal was “celebration,” with only 24% being angry, 14% in dismay, and 18% in shock (based on results on the morning of March 16th). Despite the other players involved in the trade, simply moving Ellis has caused the Warriors to finally have the appearance of a real team. In the past two games without Ellis, fans are seeing the first glimpse of what this team could really be. 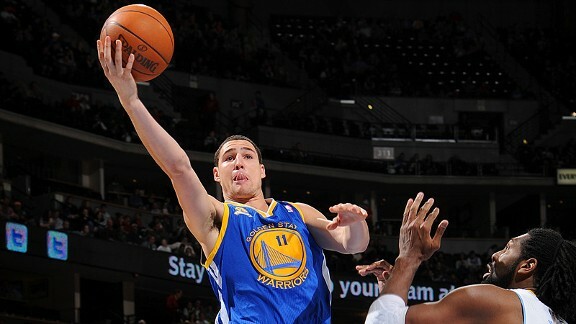 Klay Thompson is able to have a starting role and everyone can see now why the Warriors drafted him. Thompson is one of the best pure shooters in the league (ironically, behind Stephen Curry) and not only is he a great 3-point shooter, he’s developed into more of an all-around player. He’s been distributing the ball well, he’s played solid defense, and is making more of a conscious effort to not settle for 3-pointers. Next season, the starting lineup could be Stephen Curry, Klay Thompson, Dorell Wright, David Lee, and Andrew Bogut. With a bench of Brandon Rush, Nate Robinson, and Dominic McGuire, that could potentially be a playoff team. If management is able to keep the Dubstitutes on the roster, this team could be very successful by pairing an extremely strong bench with a well-balanced starting five. Curry can lead this team in scoring, but he can also increase his assist totals with so many great scoring options on offense. Thompson will develop into an even better player, Wright will hopefully play like he did last season, Lee will continue to produce double-doubles, and Bogut will be the rebounding presence the Warriors have needed for so long and he can also open up the floor even more with his passing ability. 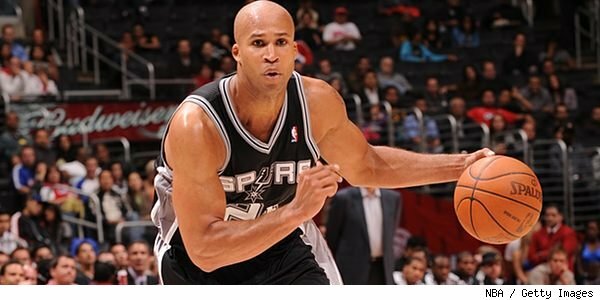 The Warriors also acquired Richard Jefferson, T.J. Ford, and a first-round draft pick from the San Antonio Spurs for Stephen Jackson yesterday. On Monday, T.J. Ford retired from the league because of another injury to his surgically repaired spine. Ford is only 28, so hopefully, he can come back to league after a full recovery. Richard Jefferson will be another great addition to the bench because of his strong defense, veteran leadership, and ability to make 3-pointers. The first-round draft pick might be the greatest asset that the Warriors were able to pick up though. Before this, the Warriors didn’t have a guaranteed first-round draft pick. Based on some poor trades in the past, the Warriors would have needed to finish as one of the seven worst teams in the league to obtain a draft pick. The fact that the Warriors acquired a first-round draft pick suggests that management believes that this team, as constructed now, can make the playoffs and that they won’t use the “tank strategy,” meaning they won’t try to lose as many games as possible the rest of the season to ensure a better draft pick. Larry Riley, the general manager, said he’d rather have acquired players than have cap space for the future, which is another indication that this team is ready to compete for a playoff spot. Bogut, Lee, Biedrins, and Jefferson all have fairly hefty contracts for the next few years, so the Warriors won’t have the money to go after big free agents like Deron Williams, Dwight Howard, Josh Smith, etc. in the coming seasons. This doesn’t matter to Riley though. This team is building for the future and has most of the roster set for the next few years, so the Warriors are in a good place to become a strong playoff contender for the upcoming years. “Frankly, ladies and gentleman, we’ve changed the organization,” Riley said. “We’ve changed the Warriors organization in terms of the way we do business and our roster.” Warriors fans have finally seen the bold moves that they’ve been promised ever since Lacob became the owner. Besides the Brandon Rush trade in the offseason, these two moves have been the most impressive trades by Lacob so far. Trading the leading scorer on a team is bold. Trading for a player that most likely will be out all season with an ankle injury is certainly bold as well. These moves are bold, but more importantly, they’re smart moves. These trades will make this team better in the future. 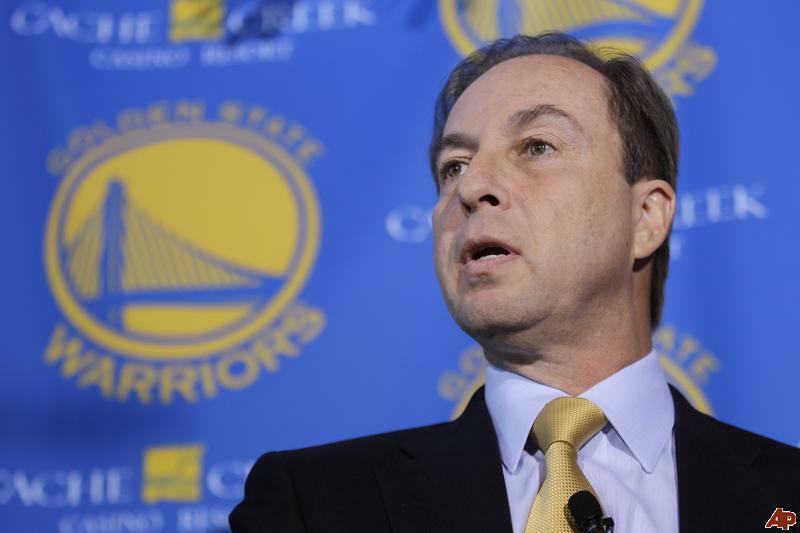 Lacob has finally changed his mindset to a more realistic one. “Bold” moves are never easy to make in the NBA, so he shouldn’t have promised that so early on. He also became more realistic about the fact that the “core” of Curry, Ellis, Wright, Lee, and Biedrins was not going to win this season because they weren’t successful last season. Riley also finally admitted that the small backcourt didn’t work and that they wanted to build the team around Stephen Curry, so just because of this, the Warriors have a bright future ahead of them. “We were stuck,” Riley said. “You want to be stuck three games below .500 at this time of the year every year? You want to be stuck five games below or something like that? That’s where we were. And that’s where we were going again the next year if we couldn’t do something.” The Warriors have a great balance between young, developing players and seasoned veterans who know their roles. If Mark Jackson can implement some creative offensive sets and some consistent defense, the new look Warriors could be a winning team in the near future.